I accept the gift of life I was given as an opportunity to use my time on earth to find my purpose and to exercise my free will to pursue it. My children and grandsons remind me that nothing is more important than working to save lives and protecting the weakest among us. When I look into my grandsons’ eyes I see a little bit of me and a little bit of every other child that ever has and ever will be born. When I look into their eyes I see that every child is universally unique and equally as priceless as any other. 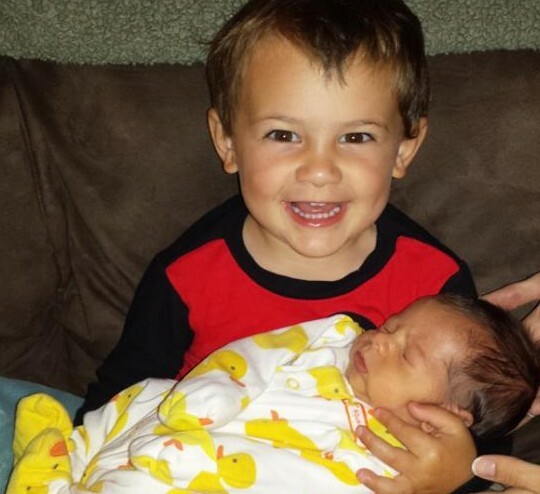 By law, both of my grandsons could have been aborted right up to the moment of their birth. As a matter of principle and in answer to the call I feel in my heart, I will work until I no longer can to end abortion and to protect the right to life that every unborn child was given by God. I do so in honor of my grandsons and to insure that millions of their contemporaries are afforded the same right to life we all enjoy. I know I was lucky to have been born in America, and I know that living in America carries with it the obligation to help others. American exceptionalism made us the greatest country on earth. Under our current leadership we are being told there is nothing special about being an American and that we should feel guilty for being free and prosperous. Our leaders tell us we should be able to kill our unborn children for any reason, with no consequences. They insult our intelligence by telling us that we can defeat terrorism by getting the terrorists jobs. The President laments the fact that a criminal was shot dead in Ferguson, Missouri while assaulting a police officer, but has nothing to say about the thousands of unborn children that are killed every day in our nation’s abortion mills. 4 years after the birth of my first grandson I’m a different man. The money and possessions, that I once thought were important, no longer have meaning to me. I would give it all up to save one child’s life. I accept that in the great scheme of things, I’m not important, but I also know that I can change the world if I truly believe that I can. I believe I can, and won’t stop until I do.